La-Meli Villas: Villa Marie Clare – Seminyak is the ultimate seminyak family villa with 3 bedrooms and a spacious outdoor living room. La-Meli Villas Seminyak is on Gang Daksina which is located 8 minutes walk away from Pantai Batubelig (Batubelig beach) and 11 minutes walk to Pantai Kayu Putih right next to La Laguna Restaurant & Beach bar. La-Meli Villas: Villa Marie Clare – Seminyak is located near by to all of the hip new spots in Seminyak, and just a short taxi ride away from Canggu’s often talked about beach spots and scenic hangout spots. Be sure to let us know if you have any questions about bars, restaurants, or beaches near the villa and we would be happy to point you and your family in the right direction! The Villa is perfect for family getaways and can sleep up 8 perfectly so whether you are a single family or a 2 family’s travelling together, Villa Marie Claire is perfect. La-Meli Villas Villas in Ubud, Bali is situated 2 km from the center of Ubud but just far enough away that you can literally walk to the rice fields. The choice is yours, enjoy a shared courtyard and pool with Our single bedroom villas – Villa Mia and Villa Mica or experience a private stay in Villa Bella or Villa Santana your home away from home with 2 bedrooms, kitchen-dining and spacious living area. Or if you’re a larger group you can book all 3 and sleep (8) comfortably. We stayed at LaMeli in Ubud with our 3 teenage kids, We had a great time exploring Ubud, checking out the water falls, shopping, rice fields and the restaurants. The villa was great, the staff excellent, it has all the mod cons with pay TV, air conditioning is great, great beds and hot showers. And the internet is awesome! Our small family of 3 visited La-Meli Villas Ubud in May, villa was way much larger than we expected, but that was pleasant surprise. Wi-Fi or internet as we know is not existing in Bali, but this place had rocking fast internet even for streaming. Great friendly staff will organize all your excursions and trips. Great peaceful location and not that far from main attractions or city itself, if you looking for evening drink- there is small local bar just across the road. Looking to explore Ubud yourself, no problem scooter rental just across the road. Ive been to Bali over 10 times now and this was by far my most enjoyable experience. On entry the villa was extremely clean and this was the case our entire stay. The owners went above and beyond to ensure our stay was a memorable one and unlike previous stays in Bali we didn’t encounter one problem at all throughout our holiday. The villa exceeded our expectations and all of us agreed that we would be back next year. 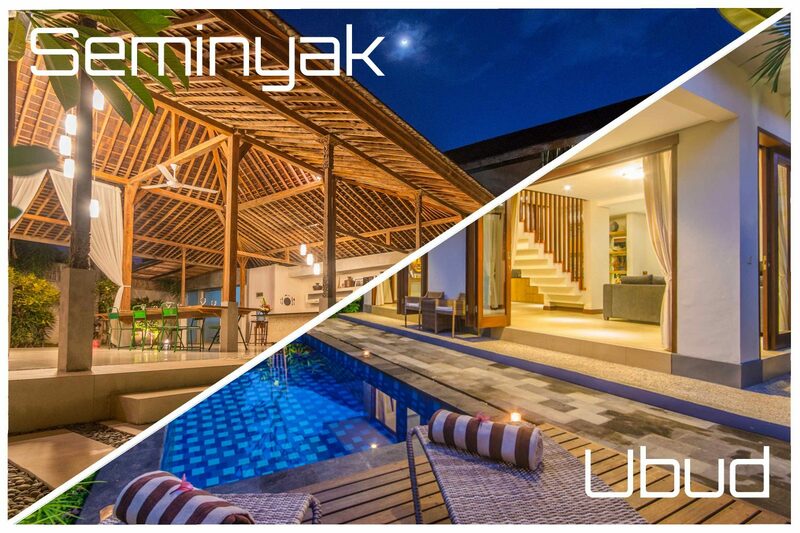 We’re certain that you’ll love your stay in our villa in Ubud & Seminyak! Experience Balinese cuisine made from the local surrounding restaurants situated in beautiful rice fields and lush scenery Ubud has to offer. 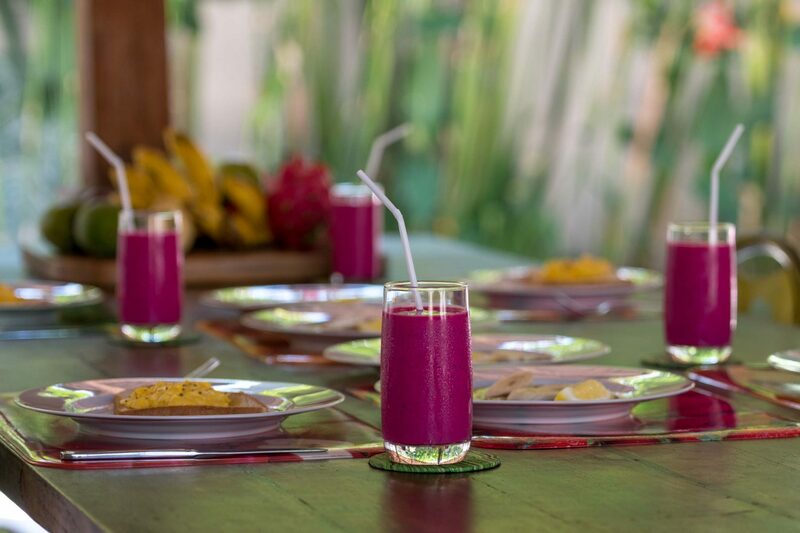 If you don’t feel like exploring Ubud feel free make use of the fully equipped kitchen in our two bedroom villa – Villa Bella & Villa Santana. Our Villas in Ubud are perfect for traveling families or those looking to experience the richness of Balinese culture and art. Our villas can be adapted to suit a wide range of guest numbers and configurations. Please feel free to send us a message if you have any questions. The choice is yours; enjoy a shared courtyard and pool with our single bedroom villas – Villa Mia and Villa Mica or experience a private stay in Villa Bella or Villa Santana. Our two bedroom villas offer a comfortable home away from home with the bedrooms on floors separate from the kitchen-dining and family room areas. If you’re a larger group you can book all four (4) villas and sleep twelve (12) adults comfortably. Our Villa in Seminyak (Villa Marie Claire) is located close to all of the action which Seminyak has to offer! 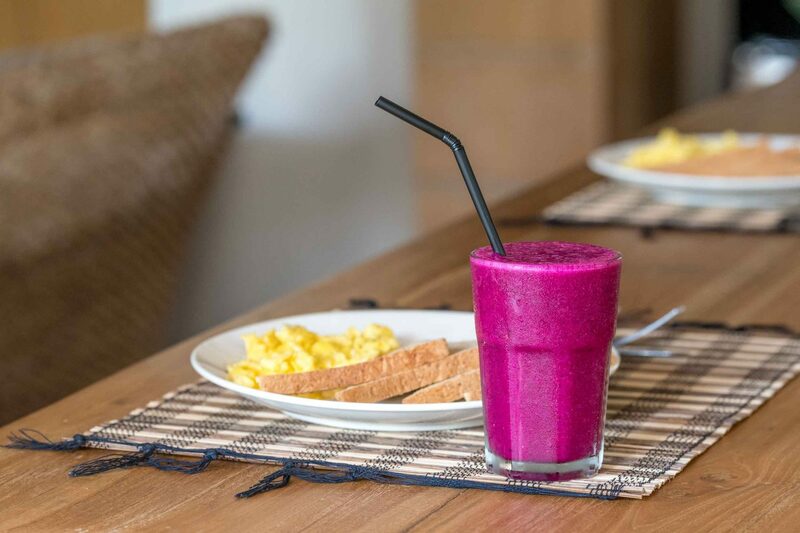 Whether you are into hanging out at cafes, soaking up the sun at the beach, nightlife on the strip, or just looking to soak up the culture that Bali has to offer, we are confident our villa is perfect to fit your bill. Our villa in Seminyak has three (3) bedrooms. There are two bedrooms located downstairs which are furnished with retro chic furniture and queen sized beds. Our upstairs bedroom has two twin beds that are perfect for the kids with pullout beds located under the two existing twin beds for extra flexibility. Each room has an attached bathroom and there is a guest bathroom located in the living room for when you have friends over. All of our staff are local with beautiful smiles and energetic personalities ready to aid you on your Holiday adventure. Please click here to view our staff members profile. We ensure our all of our villas are clean and comfortable. Our Ubud Villas are located right outside of the hustle and bustle of the Ubud city center and our Seminyak Villa is located near all the shopping and nightlife action. Our Ubud Villas are located in the middle of rice fields and our Seminyak Villa is a 10 minute walk to the beach! Our Ubud villas are surrounded by lush tropical rice fields and gardens where rice and flowers grow freely and our Seminyak Villa is just a quick walk away to the beach, and down a quiet street for when you get home from your busy day out and about. Our Ubud Villas are only a short scooter ride through rice fields to reach the city center where you will handicrafts, souvenirs, local and international cuisine, and of course opportunities to feel energized by all the sites and sounds Ubud has to offer. In Seminyak our Villa is near all of the shopping action and excellent food that is local to the area. If you have any questions just ask and we will be sure to point you in the right direction.